Kit is 5 parts Resin and 1 part Hardener by weight. 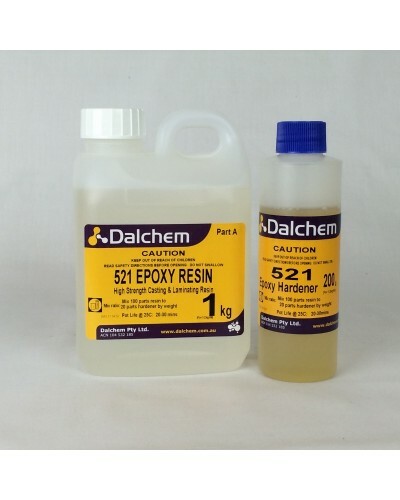 Dalchem 521 is a multipurpose solvent free, liquid epoxy resin system specifically designed as an industrial grade laminating and tooling epoxy that cures at room temperature. Formulated to be low viscosity, the resin also enables easy incorporation of fillers for casting purposes or the use of fiberglass for laminating applications. 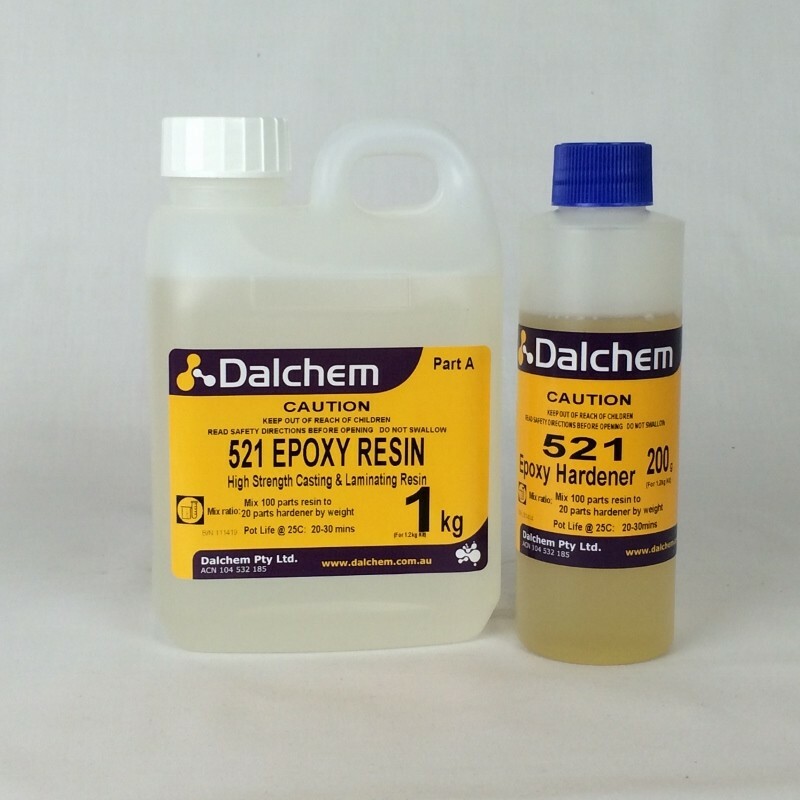 Dalchem 521 Epoxy is excellent as a general purpose adhesive, and is used extensively in woodworking and boatbuilding applications. The resin and hardener will cure to form a hard, high impact resistant casting or adhesive bond that exhibits excellent mechanical properties. Multipurpose applications include general resin laminating, bonding of parts and casting of foundry patterns, plugs and checking tools.